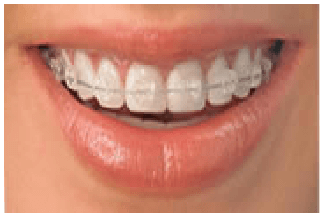 Braces are the most efficient and accurate way of moving teeth.Braces (bands, brackets and wires) are usually made of stainless steel although clear brackets are available, usually at extra cost. Fitting the braces usually involves two visits. 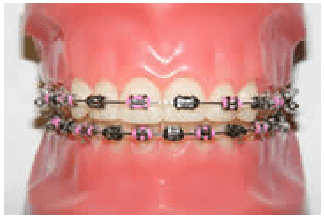 Braces remain on the teeth for the entire duration of treatment.Patients then attend approximately every 4-8 weeks for adjustments, wire changes, etc.During treatment, patients may need to wear such items as rubber bands and/or headgear with their braces. These items provide important extra forces for the correction of the bite. At the completion of the active part of orthodontic treatment, the braces are removed and retaining appliances (retainers) are fitted to hold the teeth steady in their new position. These appliances may be removable plates or wires fitted behind the teeth.Retainers play an important role in orthodontic treatment for, if they are not worn according to instructions, the teeth may move back towards their original position.